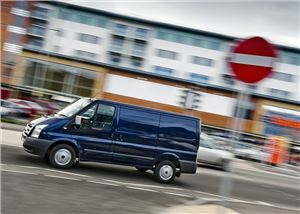 See the MoT pass rates for every make and model of van and pick-up. It doesn't matter which way you look at it, the MoT pass rate for the Dispatch van is poor. 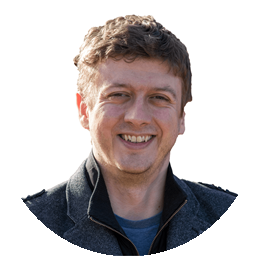 Delve into the numbers and three-year-old vans fail on a multitude of items, with suspension and electrical problems plaguing the Dispatch on MoT test day. As a result, its pass rate is 46 per cent worse than average for vans registered in 2014. 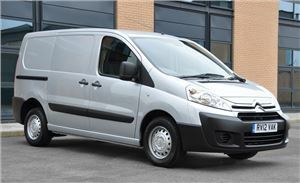 Things don’t get much better for Citroen when it comes to the larger Relay van with its MoT file showing a lengthy list of issues. One of the worst areas is the suspension, with front joints being five times more likely to fail the MoT than average for a three-year-old van. Body and structural items also perform badly, with a failure rate that is twice as high as the expected average. The NV200 is the only Nissan to make it into this list, with lighting, tyres and driver’s view of the road being the problem areas. On average, the NV200 will perform 30 per cent worse than other 2014 vans at the first MoT, while headlamps have a failure rate that’s 120 per cent worse than average. 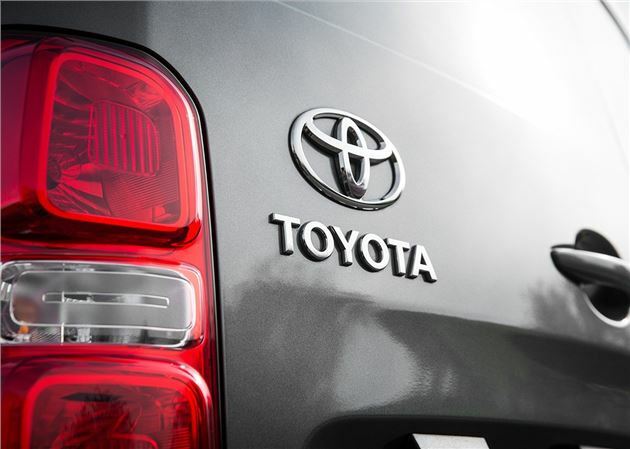 Toyota is the best manufacturer for passing the first MoT at three years, with eight out of 10 of its commercial vehicles obtaining a pass at the first attempt. More than 6000 Toyotas had an MoT in 2017, with fewer than 1200 failing. Pick-up specialist Isuzu is second best with 80 per cent of its vehicles tested in 2017 obtaining a pass. Mercedes-Benz is third, with a respectable pass rate of 70 per cent. 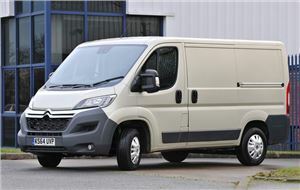 The German firm is also the highest ranked large volume van maker in the MoT Files, with 23,000 vehicles having their first test in 2017 – more than both Toyota and Isuzu combined. Citroen props up the table with a pass rate of almost 69 per cent. The French vanmaker has the lowest MoT score, while Renault is second worse with fewer than 72 per cent of vehicles passing. Nissan fares little better with some 72 per cent of vehicles passing. The Honest John Vans MoT Files is based on real world data from the DVSA - Driver and Vehicle Standards Agency. It shows that a quarter of a million vans had their first test in 2017, with 61,000 failing due to potentially dangerous defects. *Table is based on three-year-old vans and pick-ups having their first MoT test in 2017. List excludes manufacturers that had fewer than 2000 MoT tests in the calendar year. 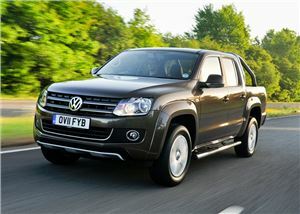 The Amarok sails through its MoT test, with excellent pass rates for both tyre and brake wear. Suspension problems - a bugbear for many pick-ups, due to the weight they often carry - is also reassuringly low here, with a failure rate that’s lower than one per cent across all three-year-old Amaroks. 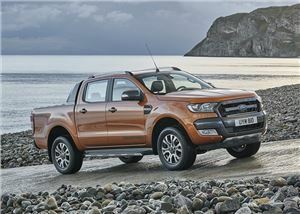 It might be the UK’s best-selling pick-up, but the Ranger can’t match its German rival when it comes to the MoT. Pass rates are generally good, with tyre and brake wear being up to 50 per cent better than average. But suspension issues drag the overall score down with leaf spring wear being eight times worse than other 2014 pick-ups. 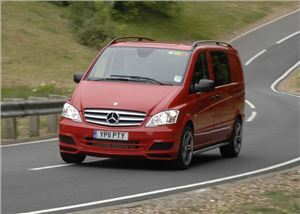 The Vito is the best panel van for passing the first MoT with a respectable 79 per cent pass rate. Failures for lighting, electrical equipment and suspension are all notably lower than average, which means a typical owner can be rest assured that a three-year-old Vito will not empty their bank account on MoT test day. How much does the MoT cost? There’s a maximum amount MoT test stations can charge and this depends on the type of vehicle you drive. Vans are legally required to have an MoT test when they reach three years of age. The date for the first test is decided by the third anniversary of the vehicle’s registration, with a new MoT required every 12 months thereafter. You can find the date for the renewal of your vehicle's MoT pass certificate. The DVSA introduced new defect categories for the MoT in 2018, with test faults being listed as Minor, Major or Dangerous. Any van or pick-up that gets a Dangerous fault will automatically fail and be deemed illegal to be driven on the road. A Major fault will also result in a fail and be subject to a repair and retest. Minor defects are considered along the same lines as advisories, allowing the vehicle to pass with the faults being noted to the MoT history. Defects may affect the vehicle’s safety, put other road users at risk and/or have an impact on the environment. Repair immediately. Potential defect could become more serious in the future. Monitor and repair if necessary. Meets the minimum legal standard. No future work deemed necessary. If your existing MoT is still valid and the van has a Major defect then you can theoretically drive the vehicle away from the MoT test centre. However, depending on the nature of the Major defect, you may be liable to prosecution if you are stopped by the police. It is illegal to drive a vehicle away from the MoT station if the certificate has expired or a Dangerous defect has been detected. If this happens then you will need to have the vehicle repaired at the garage that carried out the MoT or arrange to have it trailered away. You can be fined up to £2500 and be banned for driving a vehicle that has failed its MoT because of a Dangerous problem. What happens if your MoT expires? If you have forgotten to renew your MoT then you should stop using the vehicle immediately. Only vans and pick-ups that are being driven to a garage for a pre-booked test can be used on the road without a valid MoT. You can sign up for free MoT reminders with Honest John Homepages. By simply entering your van's registration number, we will keep an eye on when the MoT is due and when your VED is to be renewed. As well as keeping your van's history in one place, this is the home of your owner reviews, garage reviews, anything that you've asked through Ask Honest John and valuations. Over half of all van MoT failures are caused by some type of lighting problem. More than 246,000 vehicles fail because the registration plate lamp is defective, while a further 154,000 are denied an MoT because of faulty brake lights. More than one in 10 vans will also fail because the headlight aim is dangerously adjusted. 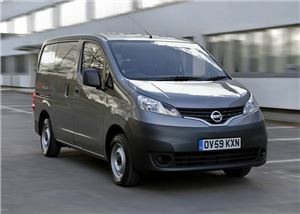 Given the packhorse nature of the modern van, it’s perhaps unsurprising to see so many fails due to suspension issues. 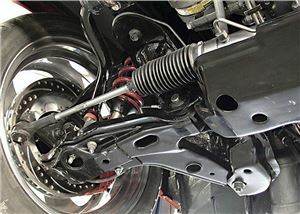 However, while wear and tear to the springs, anti roll bars and suspension arms are to be expected, it’s worrying to see how many drivers are ignoring obvious problems. Does your van take you for a bumpy ride? It might be time to have it checked. A third of all vans will fail the MoT because the brakes are dangerously defective. Again, like suspension issues, this is often caused by the fact that vans carry heavy loads that can significantly increase wear and tear. And again, the tell-tale signs are usually easy to find, with a spongy pedal feel and/or vibrations being an indication that something is wrong. It’s no secret that the humble van lives a hard and difficult life. According to the latest MoT test data, the average van will have covered 47,000 miles by the time it has its first test at three years, while a car will have covered 26,000 miles over the same amount of time. 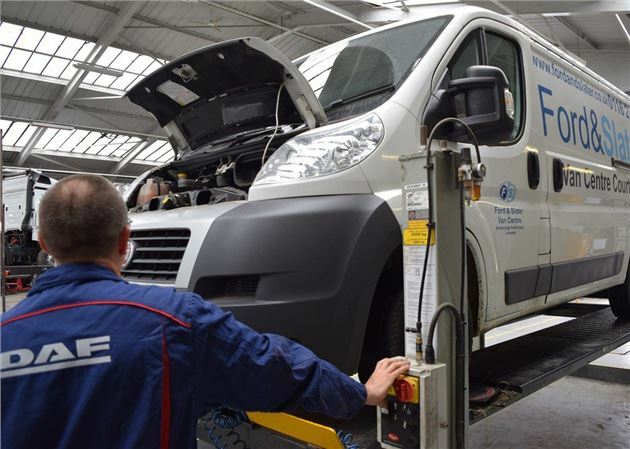 As a result, just one in four vans pass the first MoT test at three years, compared to one in six cars. By the time a van reaches five years, it'll have a 60 per cent chance of passing the MoT. This pass rate will continue to fall until the vehicle reaches 12 years of age, after this point the rate slows starts to climb as businesses scrap their worn out workhorses and enthusiasts start to put more money into their van to keep it on the road. As well as showing you pass rates by make and model, we can show you what the MoT pass rate is like in your local area. Does it make a difference? Yes, is the answer. We explain why and have a table of MoT pass rates by postcode here. I had the head gasket on my Peugeot Boxer changed, but on the way home (after about five miles) it decided to lose power and cut out. No lights came on the dashboard, it just went dead. After a couple of minutes it started and I got about 30 yards before it cut out again. Any idea what's wrong with it? If it was done by a garage, we'd suggest that you get back to them to resolve it. If you did the job yourself, you should check for any coolant leaks, check for a spark at the plugs and make sure fuel is getting to the Injectors.